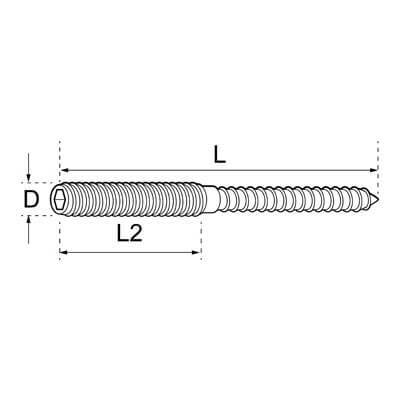 Dual thread screw suitable for direct installation into timber, or simply combine with a plastic wall/rawl plug for mounting into any masonry surface. Available in 316 grade stainless steel. Available in 304 grade stainless steel. 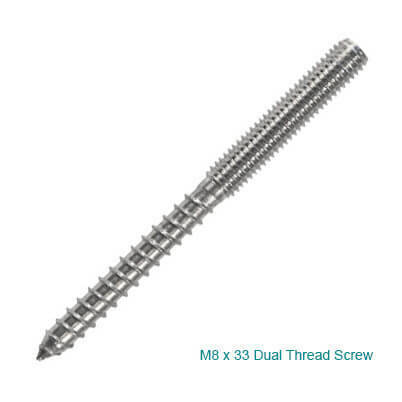 Stainless steel M8 thread screw with hex/allen key head for secure fixing. In a choice of 304 (interior) grade and 316 (exterior) grade stainless steel. Each screw has a blue band of thread-lock at the M8 thread end, perfect for locking and holding fixings in place. Great!! Looks fabulous. Service and quality product.